Click on the passage above to visit the site and view many free resources. Be a part of the World War I Centennial! Register for Who They Were and download the Educator's Guide and Student Activity Toolkit today! Sponsored by the U.S. World War I Centennial Commission, Who They Were seeks to engage students in centennial commemoration activities and help them learn about America’s World War I generation. By participating in Who They Were, young people across the country will join a special once-in-a-century effort to remember the men and women from their communities who served our country 100 years ago. The activity can be done by individuals or groups in a variety of settings using our Who They Were Activity Toolkit. Using the Who They Were Educators Guide, teachers assist students in the creation of a short presentation about their community’s World War I generation. This information then can be presented at their school or at a local event. See examples of completed narratives. After sharing what they have learned, teachers and students can share their presentation and information on the Who They Were map (this availability is coming soon). Students also will be able to see what other classes or groups from around the country have discovered about their own World War I generations and be part of the larger national World War I commemoration. In addition, a national version of Who They Were will be presented at special commemorative events on the centennial of the Armistice that ended the war, Veterans Day, November 11, 2018, and on Memorial Day 2019. The Durham Museum’s digital learning program offers unique opportunities for learners of all ages. Taught by educators, these engaging and interactive classes follow National and State Social Studies Standards and are filled with primary sources featuring artifacts, videos, and photographs along with pre- and post-visit activities. Each session lasts 30 minutes (time can be made flexible; Virtual Vault opportunities are approximately 15 minutes). Each session should be booked at least two weeks in advance. ALL ABOARD (RECOMMENDED FOR GRADES K-5) Hop aboard our passengers cars, steam engine and caboose for an authentic look at train travel and how it shaped our country! This class includes an authentic 1950’s video that will show students what it was really like to travel during this incredible time in history. HISTORIC SCHOOLROOM (RECOMMENDED FOR GRADES K-5) Step back to the 1890’s and see how different it was to attend a one-room school! Explore daily life from this time period through artifacts, stories and reciting real lessons students did in their classroom. Who will be the spelling bee champion or have the best penmanship? Find out in our virtual one-room schoolhouse! NATIVE AMERICAN LIFE (RECOMMENDED FOR GRADES K-5) Explore the life of the Plains Indians tribes. Enter the Durham Museum’s tepee and earth lodge to interact with Native American artifacts and meet Scout, our resident buffalo. Learn how the Native Americans used the resources around them throughout the centuries, before showing off your own buffalo artifact creation! PIONEER LIFE (RECOMMENDED FOR GRADES K-5) Visit our log cabin and experience the life of a Great Plains pioneer. Students will take part in a “choose your adventure” session where they will have to make the tough choices the pioneers had to make as they prepared to travel west and build a new life! In 1863, President Lincoln signed a document that designated the eastern terminus of the proposed transcontinental rail route in Omaha, Nebraska. Within a short time dirt was flying in Nebraska and California where the western route was started. Thousands of workers, supply trains and equipment were used to complete this project and connect the United States. After six years, the rails were joined at Promontory Point, Utah on May 10, 1869. Experience Omaha’s Union Station, a world-renowned example of Art Deco Architecture. Built in 1931, Union Station’s style represents the power, strength, and masculinity of the railroad industry it housed. This videoconference will allow viewers to explore the history of the building as well as the intricate details that make up this specific architectural style.Other Virtual Field Trips: In addition to the fantastic digital learning opportunities listed above, we also offer the following classes as virtual field trips. The Roy Rosenzweig Center for History and New Media (RRCHNM) at George Mason University has recently completed a project for the National Cemetery Administration (NCA), which features learning modules for high school students about the history of the Alexandria National Cemetery. To preview, visit www.forustheliving.org. For Us the Living: Learning from the Stories of the Alexandria National Cemetery will launch in Fall 2018. We are delighted to connect students and teachers around the country with the unique primary sources that have been made available to the public. 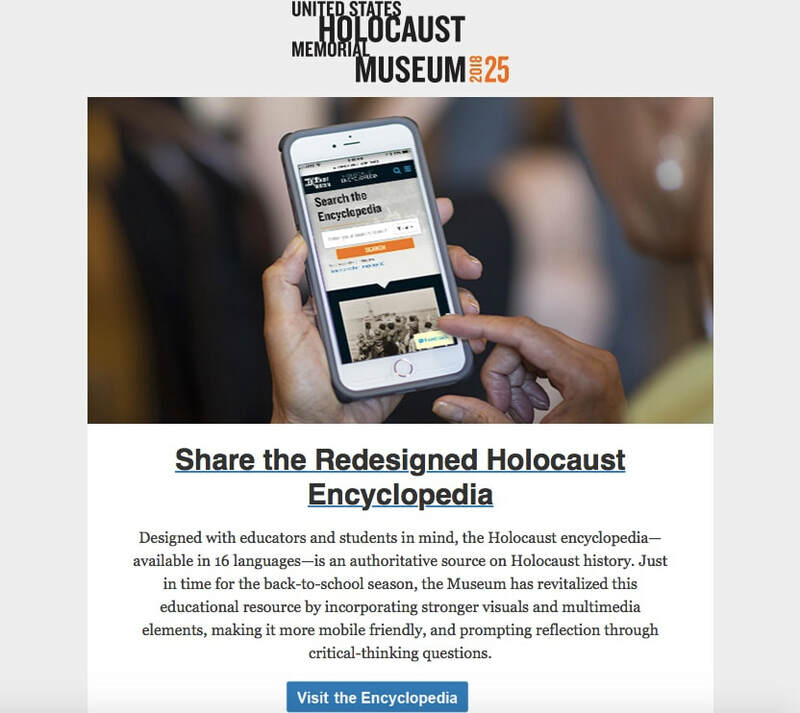 "The United States World War One Centennial Commission and the National WWI Museum and Memorial are dedicated to educating the public about the causes, events, and consequences of the conflict and we encourage the use of these resources to better understand the Great War and its enduring impact on the global community." 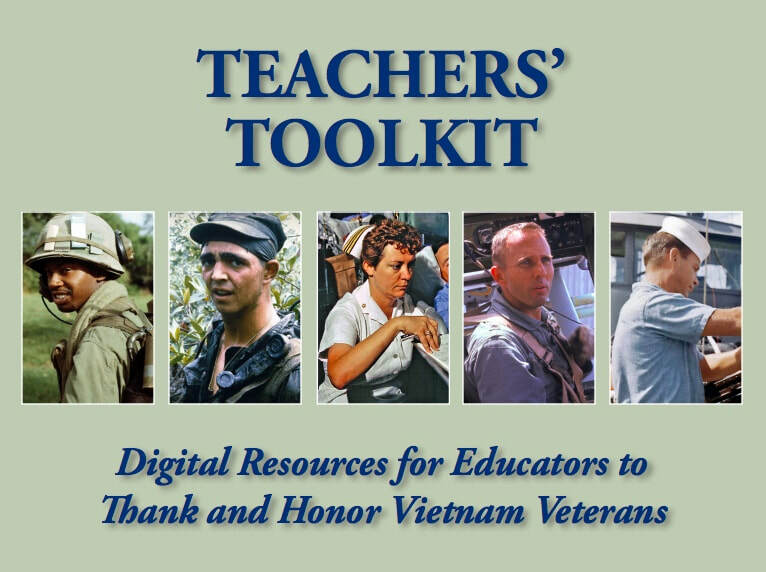 The new Teachers' Toolkit, developed by the History and Legacy Branch of The United States of America Vietnam War Commemoration, offers educators a comprehensive packet of information to support the national effort to thank and honor our Vietnam veterans and their families. The Toolkit highlights service-learning projects, suggested websites, and resources for activities and events from notable sources. The Teachers' Toolkit is available for download through this link! 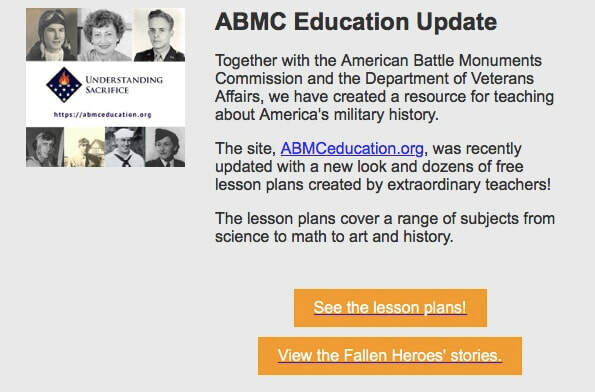 We hope that you will share this useful and highly effective tool in your classroom so that the importance of honoring our veterans will be etched in the minds of this generation of students and those to come! We often think of the impact of World War I in terms of destruction - the millions of soldier and civilian casualties, the devastation wrought by mortars and bullets, the cities reduced to rubble, the upheaval of governments and countries - but the war left an equal impact on creativity through the arts. Art and music served as outlets to mankind's expression of war and suffering, generating and popularizing modern movements: The rise of Dadaism, Jazz and the avant-garde, the decline of Realism and sentimentality. In this issue of Understanding the Great War, we look at WWI through the lens of the arts as it was revolutionized by the conflict, a conflict that continues to inspire and horrify, leaving its mark even today. educators meet the Iowa history standards within the Iowa Core in Social Studies. These Primary Source Sets address national and international history as well as Iowa’s history within each set. 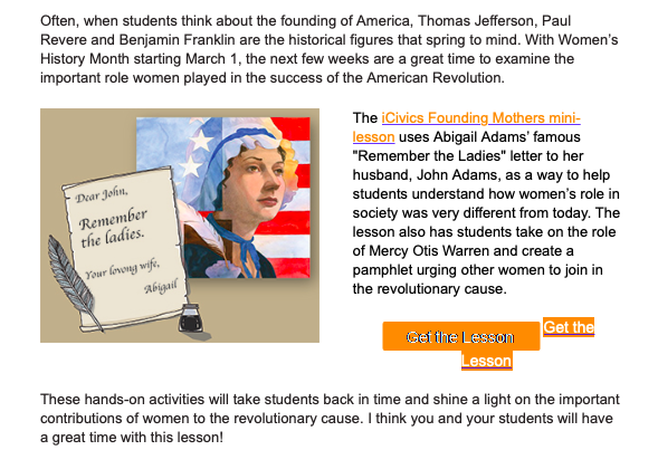 Are you new to using primary sources or unsure of how to use primary sources with your students? Download the Primary Source Set Toolkit to learn how primary sources can bring history to life. The toolkit has information for teaching students of all ages, kindergarten through 12th grade and older. This toolkit can be used with Primary Source Sets or any primary source you bring to the classroom. V-NEP provides free resources for teaching contemporary history and conflicts from World War II to the present time. V-NEP launched our one-of-a-kind, interactive Global Awareness Map Initiative in 2013. Our teacher-friendly resource equips educators with fundamental information, engaging film clips and classroom discussion points ready to use today. Please note our content advisory warnings on the Vimeo films for grade-level sensitivity. V-NEP plans to produce 100 more short videos by December 2017, that can be used in teaching efforts on the Vietnam War for Spring 2018. Contact us at http://v-nep.org for more information. A Forgotten History: The Slave Trade and Slavery in New England uses readings and activities to help students explore the institution of slavery in New England. Students also think critically about how history, and the telling of history, affects people today. Colonization and Independence in Africa invites students to think critically about colonial and decolonial efforts in Africa. The readings and activities challenge students to consider the perspectives of Africans–particularly Algerians, Congolese, Ghanaians and Kenyans–and the ways in which they responded to European colonialism. Students hear and analyze stories from former civil rights activists about what motivated them to join the movement. Students read and analyze stories and letters written by activists who partook in the events of the Freedom Summer. ​In commemoration of Freedom Summer, we are proud to release our award-winning documentary The Road to Little Rock and Common Core-aligned curriculum. We produced the film and curriculum to foster critical thinking and vigorous debate about the American civil rights movement, and to spotlight unsung American heroes who are often relegated to footnotes in standard American history textbooks. The Road to Little Rock is a thirty-minute documentary that vividly showcases not only the oppressive nature of American racial segregation, but also the spirit and determination of nine children who, in the face of such adversity, sought enrollment at Little Rock’s Central High School in 1957. It also unearths the courageous story of Judge Ronald Davies who, against entrenched opposition, sided with those students and demanded the school district’s integration. The elementary school version (DVD or digital download) and the secondary school version are now available for $24.95. The documentary features never before seen interviews with members of the Little Rock Nine, along with Supreme Court Justice Stephen Breyer and other witnesses and experts. It is a microcosm of the larger American Civil Rights Movement and, as such, an invaluable teaching tool. "A large body of research going back five decades underscores the improved experiences that integrated schools provide. And yet, more than sixty years after Brown v. Board of Education, American public schools are still highly segregated by both race and class..."
"Create and share visual stories.Together.Cooler than a slide, more dynamic than an essay. Imaginative and user friendly."